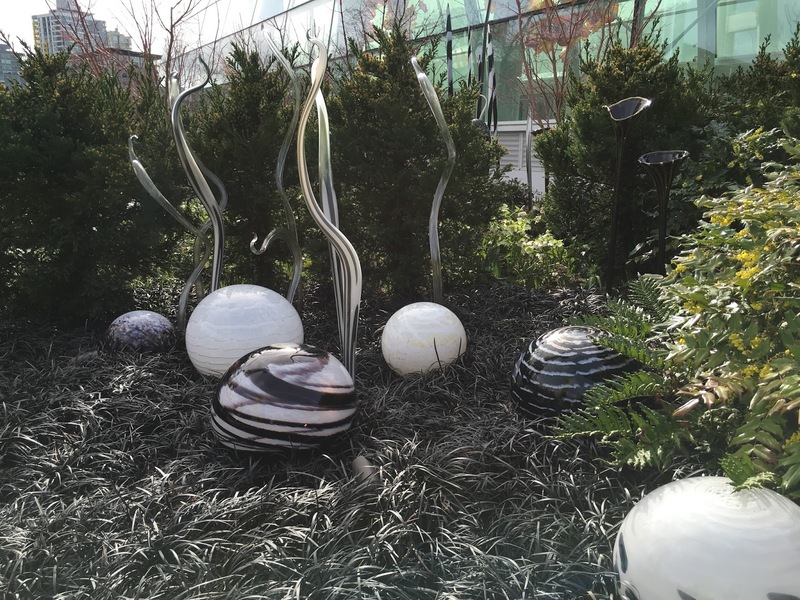 I spent last week in Seattle and finally visited the Chihuly Gardens and Glass Museum in Seattle Center. It was so worth the hefty admission fee. I soaked up all the exuberant color and movement of the glass, and the sheer scale of the installations was astounding. I love strong color. Perhaps it was because there was so much incredible, saturated color everywhere in the museum and gardens that I found this quieter arrangement out in the garden beautifully compelling. There was something about the metallic sheen of the Black Mondo grass and the huge glass spheres subtly opposing the striped spears and black flutes that attracted me. 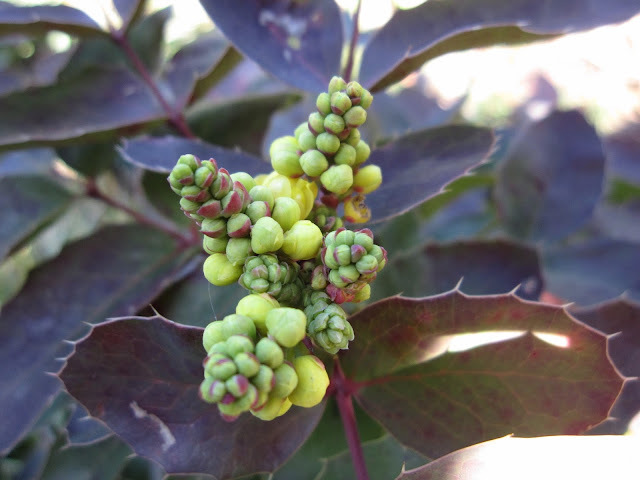 Or maybe it was that lovely Mahonia x media hybrid, blooming alongside in green and yellow contrast. Okay, Spring: it seems I'm officially ready for you - in any color. See what other vignettes are attracting garden bloggers today by visiting our host Anna, at Flutter and Hum. Before I head north today for the plant excitement of the Northwest Flower and Garden Show in Seattle, It's time to take stock of my own modest bloomers for this month. 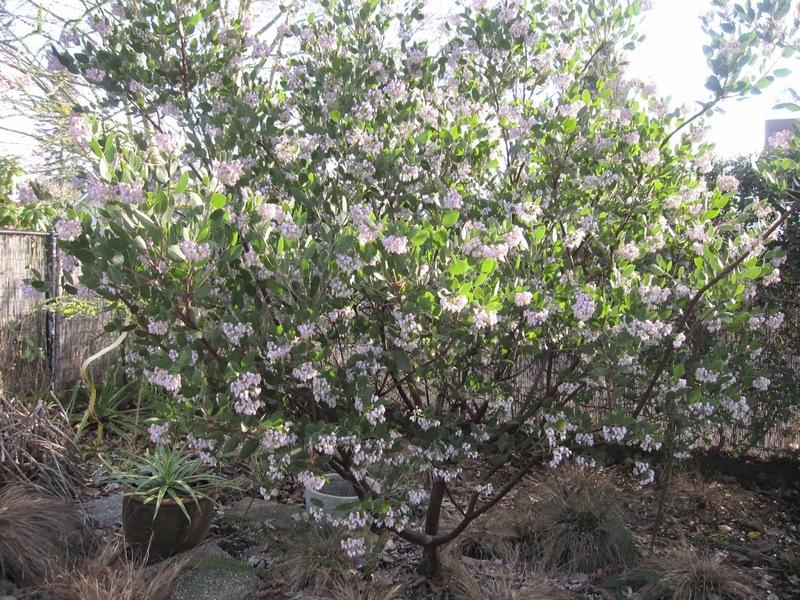 Like last month, Arctostaphylos 'Austin Griffiths' takes first prize for a beautiful sight. Huge bumble bees and Anna's Hummingbirds are making good use of its nectar. 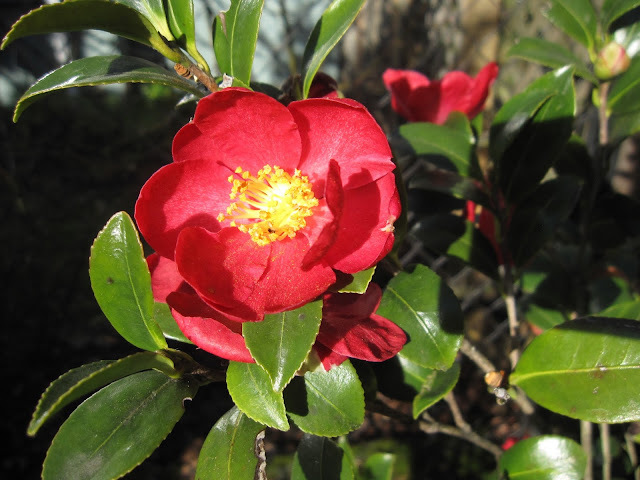 Also hanging in there from last month, Camellia sasanqua 'Yuletide' keeps up the show. All the Mahonia repens blossoms are coloring up nicely, though not yet very far open. 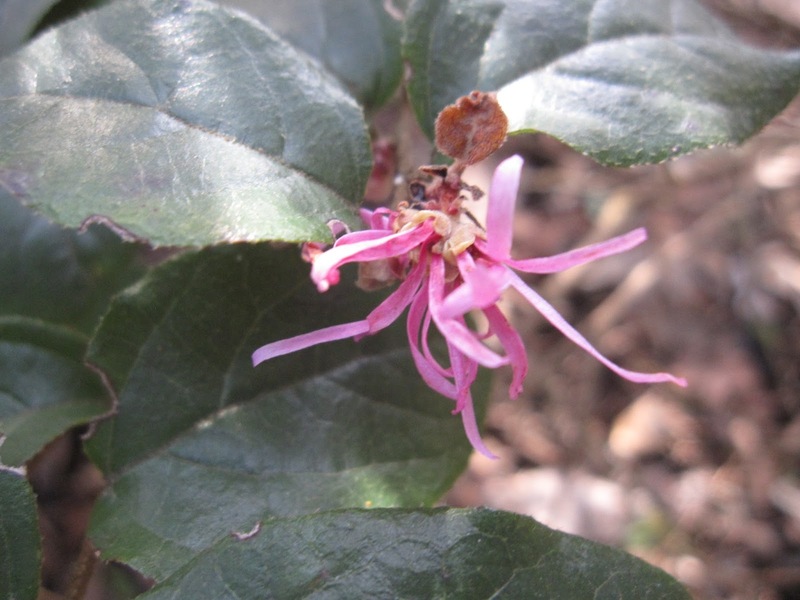 In contrast to the many floriferous Loropetalum chinense I saw in Southern California two weeks ago, mine here in the Pacific Northwest manages only the occasional bloom this time of year. 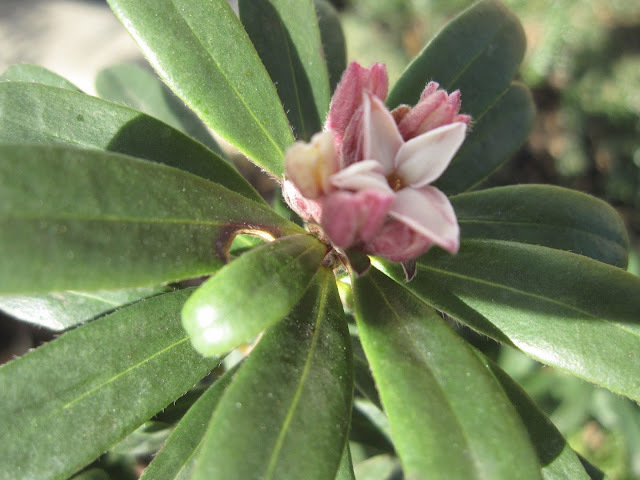 Daphne 'Eternal Fragrance' is slowly but surely becoming "Daphne Eternal Bloom". It just goes on and on. 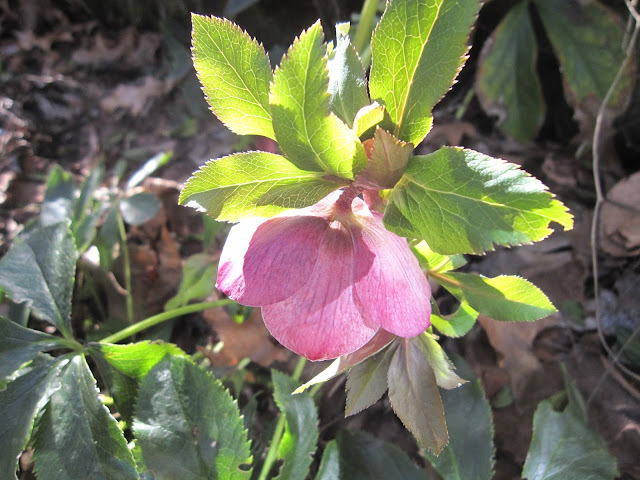 New this month are several NOID Hellebores. 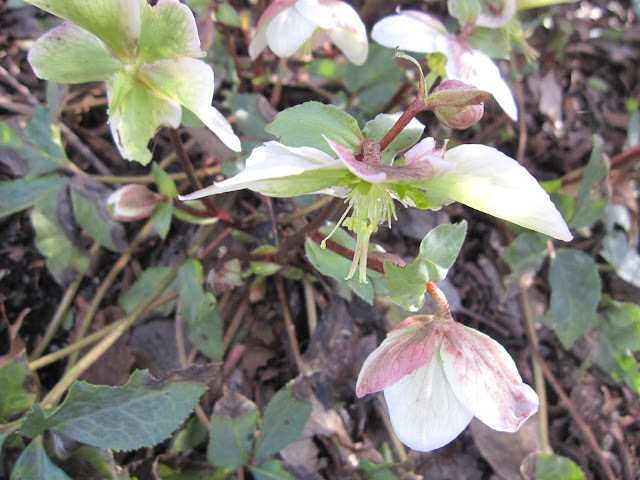 I finally cleared away an accumulation of leaves and discovered them in flower. At this past weekend's Yard Garden and Patio Show I saw lots of Hellebores, and some newer hybrids with more upright flowers. Mine are the older, shyer varieties. 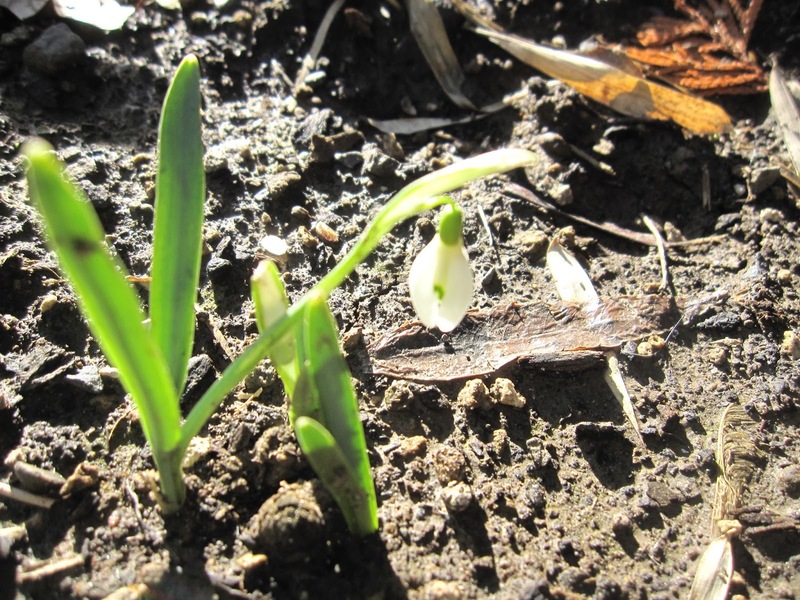 I was amazed to see a tiny Galathus nivalis 'Pewsey Vale' poking up from the middle of a bed that sustained major trauma during last summer's path project. I'm sorry this picture's not clearer, because it's a little darling. 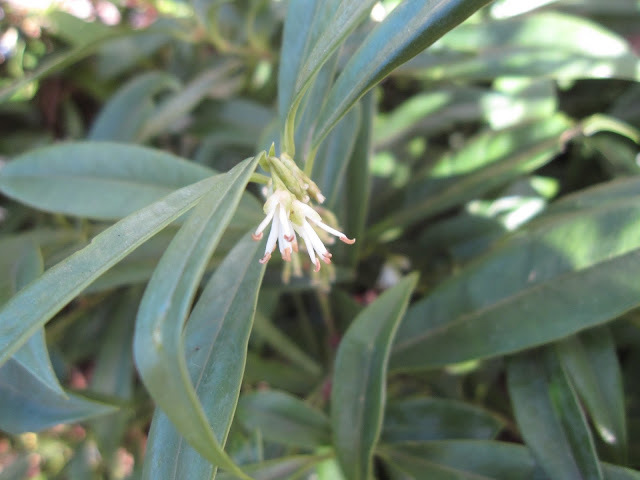 Lastly, we arrived home from two weeks away to find the house wrapped in the intense fragrance of Sarcoccoca hookeriana var. humilis. What a wonderful greeting! Check out the flowers of February over at May Dreams Gardens, where Carol faithfully celebrates Bloom Day each month.